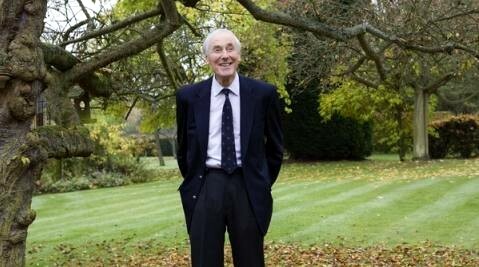 Many obituaries are extolling the work of Sir Adrian Cadbury, who died on 3rd September 2015. In the FT details are given about his standing as “the pre-eminent British authority on corporate governance”; he had chaired the committee that produced the ‘pioneering Cadbury report’. Other points made were that he had been the longest-serving member of the Bank of England’s Court of Governors – and had rowed for England at the Helsinki Olympics in 1952. This January he was made Companion of Honour in the Queen’s New Year Honours List. His connection with the University of Aston, which began in the 1950s, when it was a College of Advanced Technology. 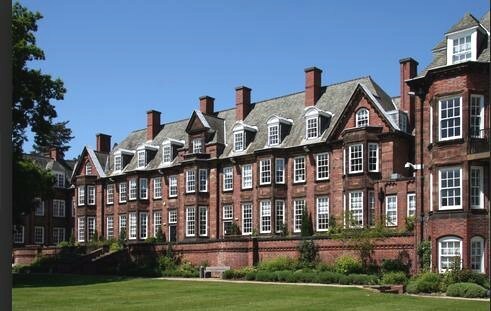 In his role at Cadburys, Sir Adrian forged links with the then Department of Industrial Administration (later Aston Business School, above) and following the receipt of its Charter in 1966, he joined the University Council. In 1979 he succeeded Lord Nelson as Chancellor, helping to steer Aston through difficult times in the 1980s when the sector was subjected to ‘disastrous’ funding cuts. Another instance: years ago Sir Adrian Cadbury set up the Aston Democracy Commission to find out why so few people were voting in this area of high unemployment. The general response was that people had found that, once elected, politicians ignored their plight and so had decided voting was pointless. One of the commission’s findings was that local people who wanted to set up or develop a small business could not get bank loans because they owned no assets. Banks and building societies had withdrawn from Aston because the amount of business being transacted did not warrant the expense of maintaining these branches. People were having recourse to money lenders who often charged exorbitantly high interest charges and to pawnbrokers. To address this, he worked with Localisation West Midlands’ co-founder Pat Conaty, then working at the Birmingham Settlement, to set up the Aston Reinvestment Trust [ART]. This is a revolving ‘not for personal profit’ fund: when loans are repaid the money helps another business and profit is reinvested in the trust. In a 2014 email he wrote: “It was my experience on the Aston Commission which led to the foundation of the Aston Investment Trust. I appreciated the absence of any source of finance in the area and while we could not help over crime and litter, we could fill a gap on financial advice and lending”. Over the years it has created or retained thousands of jobs in the city. He chaired ART for several years and continued as Life-President. In his inaugural address for the Thomas Attwood group at the BMI, he referred to that philanthropic politician: “Local people were involved in much of Attwood’s work for justice and democracy. He had, in fact, to contain and restrain their strongly expressed feelings from escalating into physical violence” adding that “As a ‘country’ banker Attwood would have felt some empathy with local people who brought forward the problems caused by the withdrawal of banks and building societies from Aston because the amount of business being transacted did not warrant the expense of maintaining these branches. People were having recourse to money lenders who often charged exorbitantly”. In November 2006 he acted as a judge, with Solihull MP Lorely Burt and Alan Clawley (urban regeneration), to determine the Attwood Award that year. Local people has submitted alternative plans for the former Territorial site in Haslucks Green Rd, Shirley – now developed as “Parkgate”. The award was presented to Fred Carpenter, one of four finalists, who had received training in the air cadets (later based on that site) and had served in the RAF. Sir Adrian said that his practical plan for a well–designed continental style retirement development, accompanied by a “delightful map”, would be of benefit to the people and shopkeepers of Shirley. Adrian Cadbury shared Attwood’s belief that decisions need to be taken as near as possible to where their impact would be made. The findings of the Aston Democracy Commission reflected Thomas Attwood’s belief that Birmingham people could manage the city’s affairs better than a London-based government. Sir Adrian said that the fact that some independent candidates have been successful in recent mayoral elections indicated the unpopularity of party systems. The Commission had found that the low voting rates reflect realistic attitudes rather than apathy. Voters believed that in all likelihood their vote would make no difference to the quality of the service they were getting. Part of the remedy for this, he felt, would be to change the current situation in which central government has assumed control of 80% of the city’s budget, determining not only its size but the precise disposition of these funds, leaving little scope for local government. He believed that Westminster ought to loosen its grip on spending and decision-making and that local government should devolve decision-making to those closest to the issues. Another important aspect of restoring an active democracy, he said, was to build up the capacities of local people to make decisions. Adrian Cadbury added that constitutional means must be found to reverse centralism – one being the move toward regional government. We all have a responsibility to encourage this and say that we shall place our votes with those supporting such policies.